Anyone that knows me very well at all knows I am a very regular gym goer. I go to the gym Monday-Friday basically without fail. I like working out, but I also like the way I feel (both physically and mentally) when I make time for the gym. It doesn't matter if it's a gym or yoga or boxing or running or barre or any other form of exercise. They all have so many benefits including better mental health. Everyone knows that exercise is a vital part of their health. Staying fit and active keeps your body toned and in peak physical form, which helps your overall physical health. Among all of the physical benefits of exercise, there are also mental health benefits that many people don’t realize! Many people will tell you that exercising helps keep them “sane”, and that exercising is important to help them feel in control of their everyday life. There is a lot to be said about the mental benefits of exercising on a consistent basis. At first glance, it wouldn’t make sense that something very obviously meant for your physical health would have such an impact on your mental state. But it really truly does help you refocus and clear you mind. In fact, many addiction recovery programs incorporate exercise into their recovery programs, and it has really good results. Addiction is a mental health disease, so using exercise to assist with addiction recovery definitely begs the question of whether or not there is a mental benefit to a regular exercise regime. Just like you would use different forms of exercise to train and perfect your physical body, you should use different forms of exercise to train and affect your mental state. Many different types of exercise are specifically geared towards helping you clear your mind and become more connected to yourself on a spiritual level. One specific type of exercise that almost anyone will tell you would help your mental health state, is yoga. 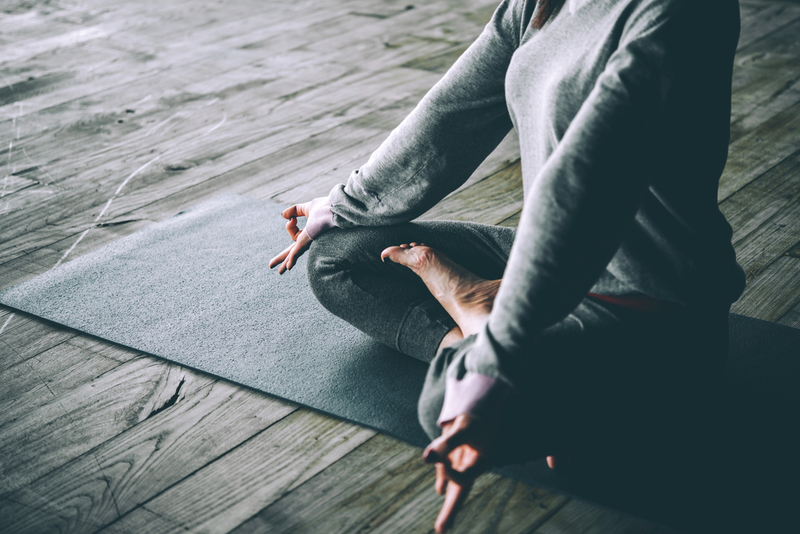 Much like previously mentioned, yoga is one of the most popular forms of exercise for mental health programs, mostly due to its power to control triggers and provide stress relief. Practicing yoga gives you a chance to focus, slowly, on different parts of your body and working on them individually. During many yoga routines, specifically during a teacher led class, you’ll be instructed to focus specifically on different muscle groups as you stretch and strengthen different areas of your body, one at a time. Meditation often goes hand in hand with yoga. You may roll your eyes, but countless people have found that through combining meditation with their daily yoga practice, they are able to connect with themselves on a deeper level. During meditation, traditionally, you attempt to clear your mind. A lot of people struggle with this concept, even people who avidly meditate on a regular basis. An easier, and sometimes more effective way to meditate, is to instead of trying to completely clear your mind, focusing all of your energy on one specific thing or thought. By pondering and focusing on just one thing, you’re able to put all of your energy to something and you’re able to be more effective and more precise with decision making. If you’ve ever stepped foot into a gym, you’ll know that music is deeply intertwined into most people's relationships with exercise and fitness. How and what you listen to, is up to you. Most people want something that has a strong beat, which can help them stay on pace as they go through their workout routine. When thinking about music in concerns with your mental state, think a little bit about what you’re actually listening to, before you make your workout playlist. When music is blaringly loud and filled with distracting lyrics, you’re not always able to focus on the mental benefits of exercising. If this sounds like your experience when you listen to music during your workouts, maybe take a moment to rethink the kind of music you choose to listen to when you workout. In yoga classes, the music that is played is more mellow and relaxing, and this helps cultivate a healthy mindset and the ability to focus. Find music that helps you clear your mind and focus on what’s important. For some people, they feel more productive during their workout if they listen to a podcast or audio book rather than music. There is a lack of beat, but they’re able to use their own rhythm to keep themselves moving, and instead seek inspiration from the words that they’re hearing. And for others, they prefer to workout in silence. The silence helps them ponder on their thoughts and focus on their mental health. My mental health is 1000000x better with exercise!